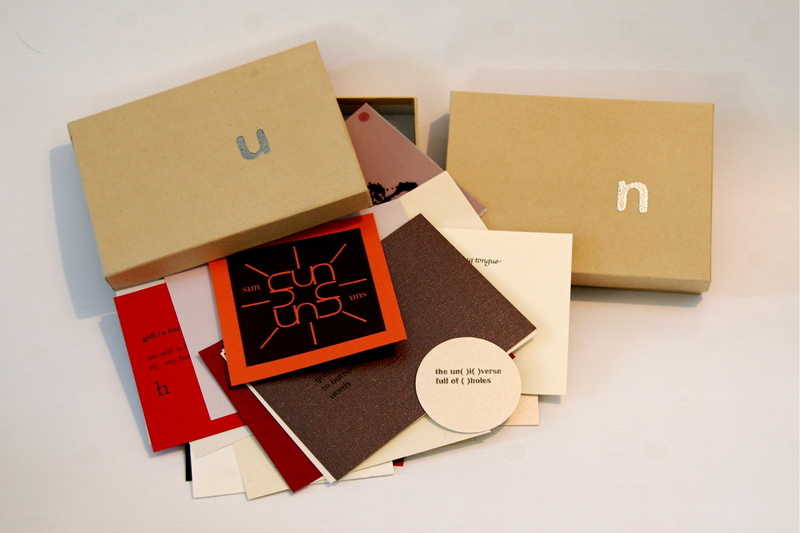 A two-box set of nearly 70 individually designed poems; described as a whimsical work of word art, un contains “haiku-esque minimal poems that revel in experimentation, exploration, enigma, wordplay, and the instability (inner stability?) of language.” A meditation on modern poetics. glenN robsoN is one half of the sound poetry duo Tonguebath. A graduate of the University of Alberta with a BA in Creative Writing & English, glenN continues to cultivate the weeds of his avaNt gardeN. He lives in Edmonton with his wife Katie.